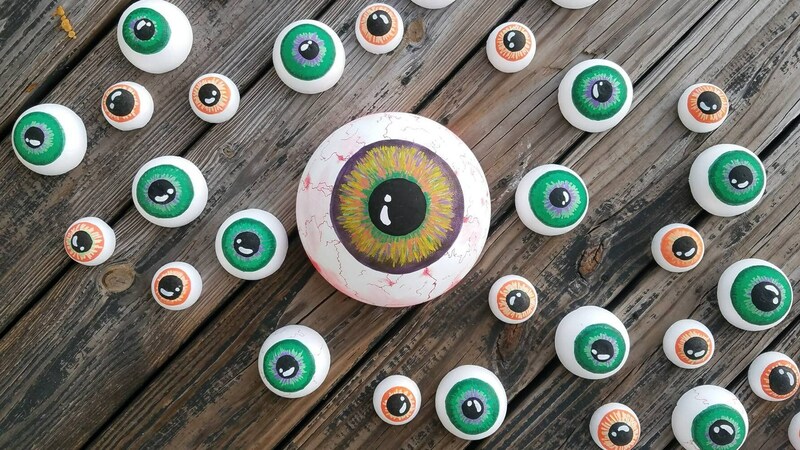 Imagine walking into a room where several eyeballs appear to be sprouting from the very walls! 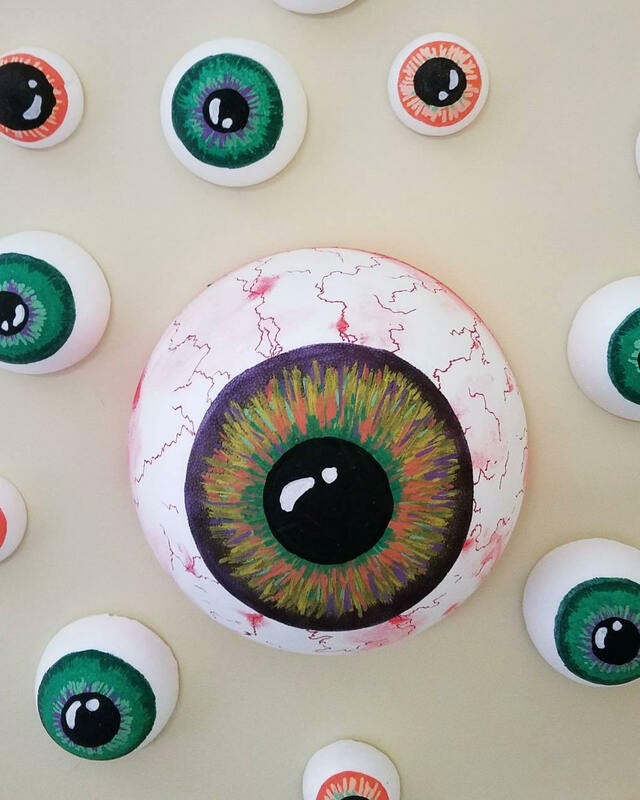 This light weight, foam, 8 inch eyeball is the perfect "eye-catching" Halloween accessory for your walls. 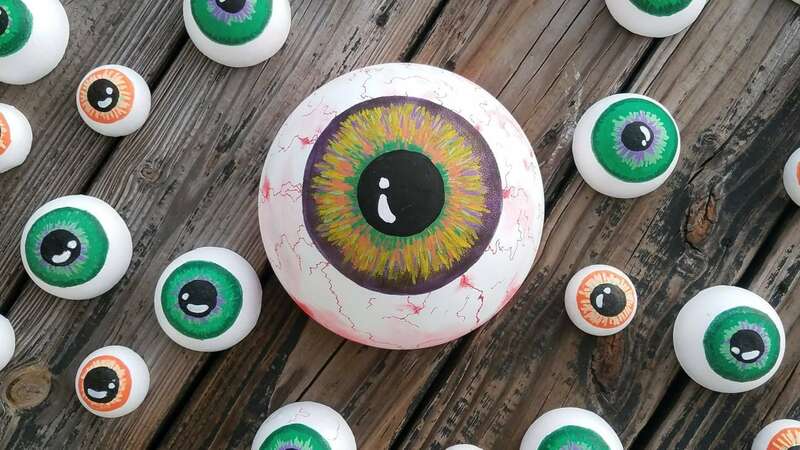 This eyeball is purple with various color highlights. 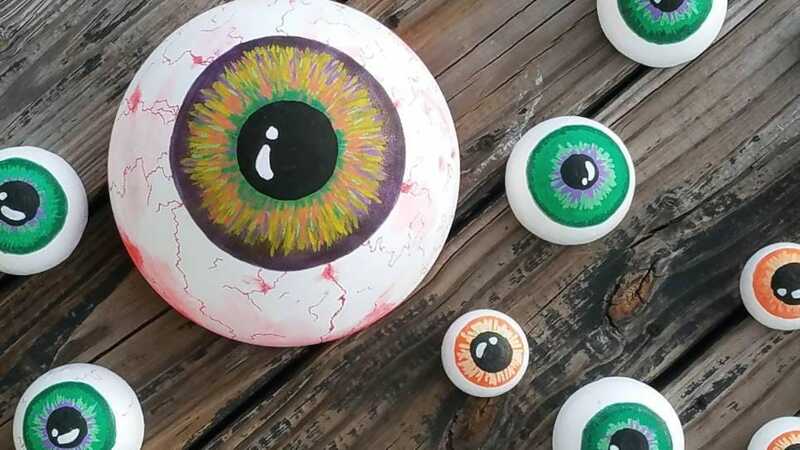 The listing is for one 8 inch diameter eyeball. Smaller eyeballs are not included. The color can be customized.